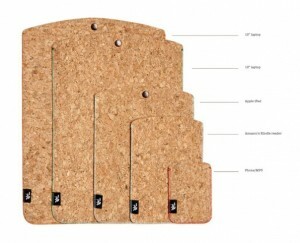 South African Designer Ryan Frank has pulled out cork as a way to protect the precious surfaces of our expensive techno gadgets. Pads, pods, laptops, cells and readers will all be safe from scratches and eco-stylish. View the sleeves here.